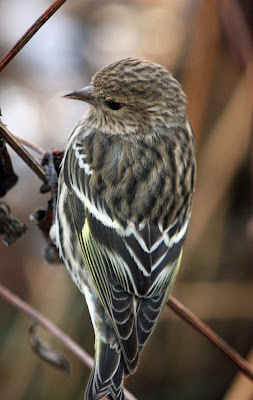 A sweet little pine siskin grabbing seed snacks from black eyed Susan seed heads. I love these birds. They come to my yard for winter and early spring. They can be identified by the yellow on their wings.